In this weeks car news we have a new Overfinch Land Rover, two new McLaren variants and a driverless racing car series. Yes, you read that right; a racing series without any drivers! 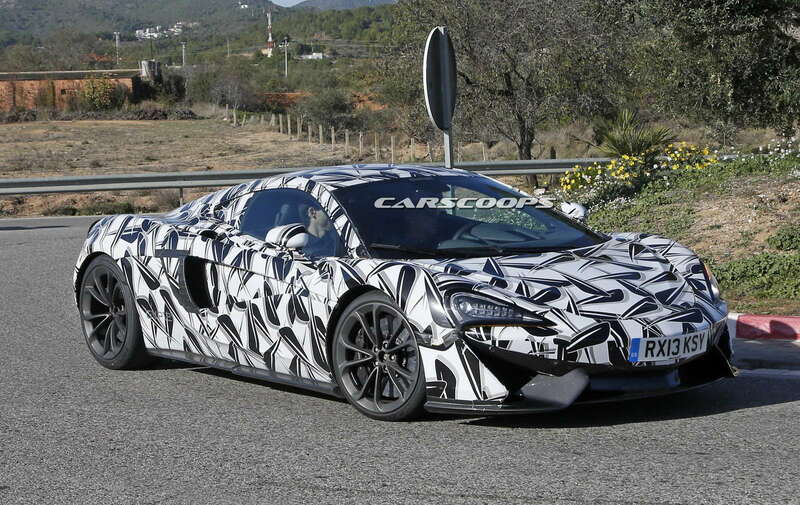 A drop-top McLaren 675LT has been seen undergoing testing ahead of its 2016 launch. The car will have the same 666bhp 3.8-litre twin-turbo V8 found in the current coupe version, but is expected to be slightly heavier due to the weighty add-ons that come with a convertible. That means you can expect it to be between 1,260 - 1,290kg, which should result in a 0-62mph of around 3 seconds and top speed of 200mph. Supercars always look great in their drop-top equivalents and we expect this to be no different. We'll bring you more as news emerges next year. If the 675LT Spider mentioned above wasn't enough McLaren news for you, well there's also been a sighting of a more practical 570S known as the 570S GT. The 570S GT will have a slightly tweaked look due to it's more spacious interior, which will allow for additional luggage space and potentially four-seats too. It'll have other design changes such as a fastback-style rear end, which means a taller roof, longer side windows and a bigger rear screen. The car will be available in the 'standard' 562bhp 3.8-litre twin-turbo V8 and is expected to to be revealed in the first half of next year. We're looking forward to seeing the final car in all it's glory, as even with it's testing camouflage it looks pretty damn awesome. London-based firm Overfinch will celebrate it's 40th year of modifying Land Rovers by releasing a special edition Land Rover Defender. The Defender's production comes to an end this year, so Overfinch have decided to give it special treatment and produce the 'Defender 40th Anniversary edition'. Only five will be built at a cost of £70,000 each, and will host a whole range of upgrades and features. Changes include an Overfinch bonnet and grille, LED daytime running lights, 18-inch alloy wheels, an exclusive leather trim, Recaro sport seats, numbered plaque and plenty of branded exterior touches too. There's also a load of other upgrades such as spot lamps, sat-nav system, DAB radio, reversing camera, matching detailed aluminium pedals and fuel cap, chequered plating on the sills and revamped door handles. Self-driving cars are on the horizon and set to be on the roads by 2020, but its now been announced that a driverless racing car series is scheduled to start next year. The competition dubbed 'Roborace' will take place two hours before each round of the Formula E championship with the aim of developing the software for future use in the motor industry. The plan is to have 10 teams in total with two identical cars each, meaning the race results will come down to which team produces the best artificial intelligence driving software. It's hard to predict how successful the new support series will be considering the vast majority of motoring enthusiasts enjoy the skill involved in a person actually driving, but it's hard to not deny it's a pretty cool idea and one we'll have our eye firmly on when it begins in Autumn 2016. 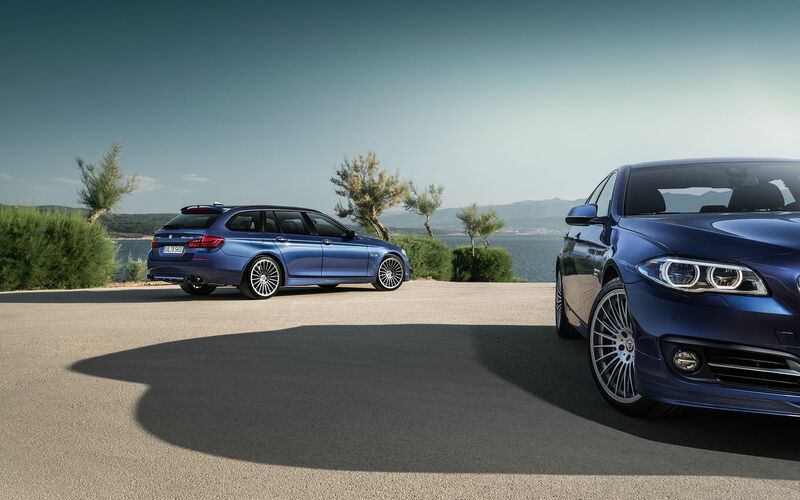 BMW tuning company Alpina have announced they're upgrading their B5 super-saloon with the new Alpina B5 Bi-Turbo Edition 50. The car is based on the current BMW 5 Series but instead sports a tuned version of the 4.4-litre twin-turbo V8 engine found in the M5. The upgrade boosts the M5's engine from 552bhp to 591bhp and 500lb ft of torque to 590. All these worthwhile adjustments result in a 0-62mph time of just 4.2 seconds and a top speed of 204mph! On top of the engine upgrades, there's also their own Adaptive Drive sport suspension, a limited-slip differential, lightweight forged alloys, high performance brake system, lightweight titanium exhaust, full exclusive leather upholstery and piano black trim finish. If you're interested in buying the car, it's available to do so now with prices starting from £76,000. Last week we wrote about a 'super' Bentayga being in development for next year and the folks over at AutoExpress.com have produced some exclusive images on how the new Bentley could look. You'll notice the sloping coupe-style roofing, chunky alloys, bulging wheel arches and aggressive styling have all been modeled onto the car, giving us all an idea of what to expect when the car is announced in 2016.